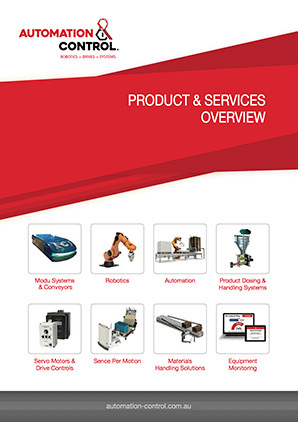 Automation & Control provide the large range of Modu Gripper Conveyors available in four main types including C-Flow, Simple Gripper Upender, Gripper Upender and S-Flow to suit your industrial application. A gripper is utilised for moving the products up and down or to put things on a hold between the conveyers or at the finishing stage of the conveyor. Two sets of conveyors are attached in a gripper in order to transport products to higher or lower elevations while taking up minimal floor space. It holds the product in a firm but gentle manner before releasing it to another conveyor. 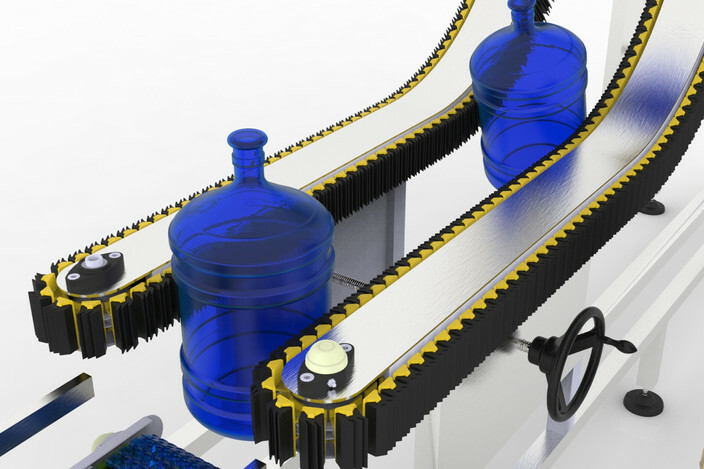 A Gripper Conveyor has many uses; it can be used to elevate products, lower products, or buffer products. 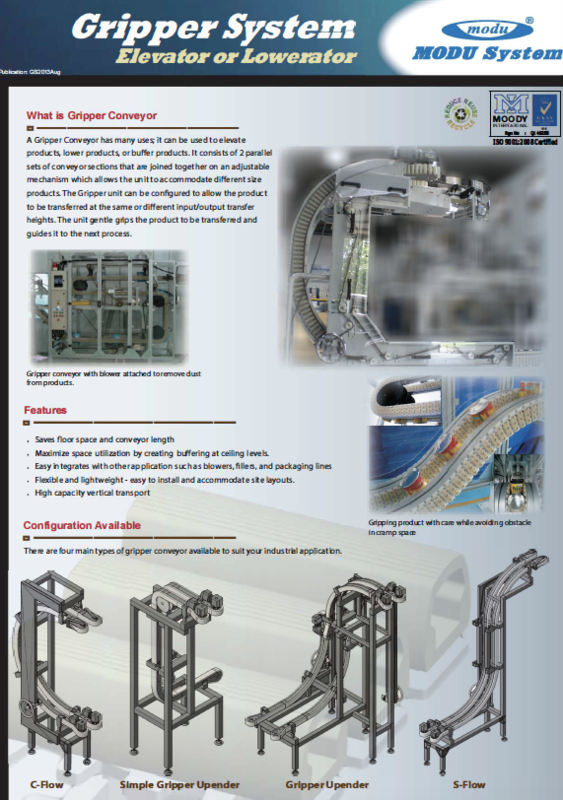 It consists of two parallel sets of conveyor sections that are joined together on an adjustable mechanism which allows the unit to accommodate different size products. The Gripper unit can be configured to allow the product to be transferred at the same or different input/output transfer heights. The unit gently grips the product to be transferred and guides it to the next process. Maximize space utilization by creating buffering at ceiling levels. Easy to install and accommodate site layouts. The Gripper Conveyor offer product elevation, de-puck & reverting, creates passage ways, allows for inverter air rinsing and change orientation solutions.